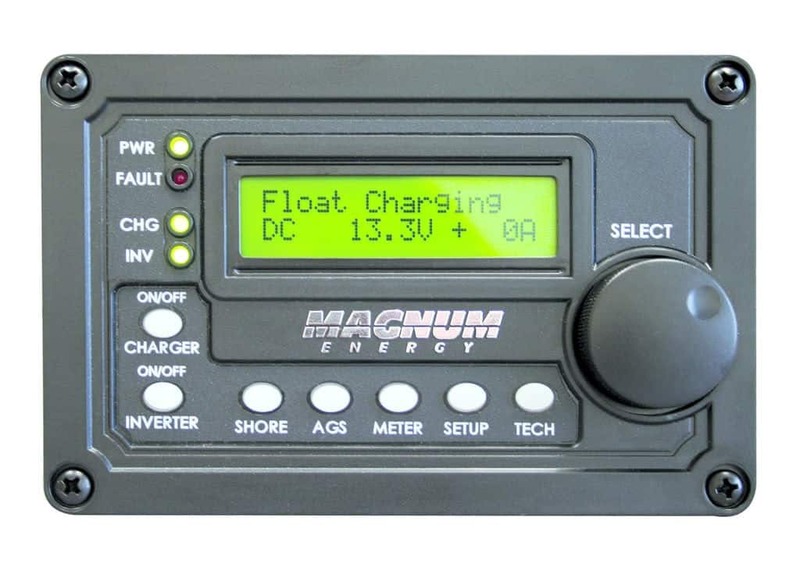 The Magnum ME-RC remote control provides a precise and reliable monitoring interface for your inverter and/or charge controller. Designed to be simple to use while offering multiple functions in one place, the ME-RC remote is a highly intuitive device. The remote features an easy-to-read LCD screen, soft key push buttons, and a rotary selector for easy configuration of the adjustable settings. Multifunctional settings include shore power breaker settings, inverter/charger controls, and Automatic Generator Start (AGS) menus. The shore power feature is compatible with a wide range of systems, offering an input range of 5 to 60 amps. The non-volatile memory feature preserves critical settings if the power is disconnected from the unit. There is no cross platform confusion, or compatibility issues with the ME-RC remote's flexible architecture. 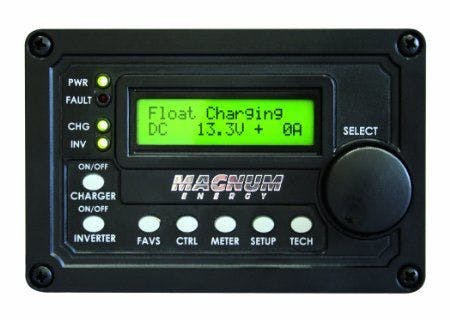 It is the same remote used on all magnum inverter/charger models in the ME, MS-AE, RD, MM, and the MMS series lines. 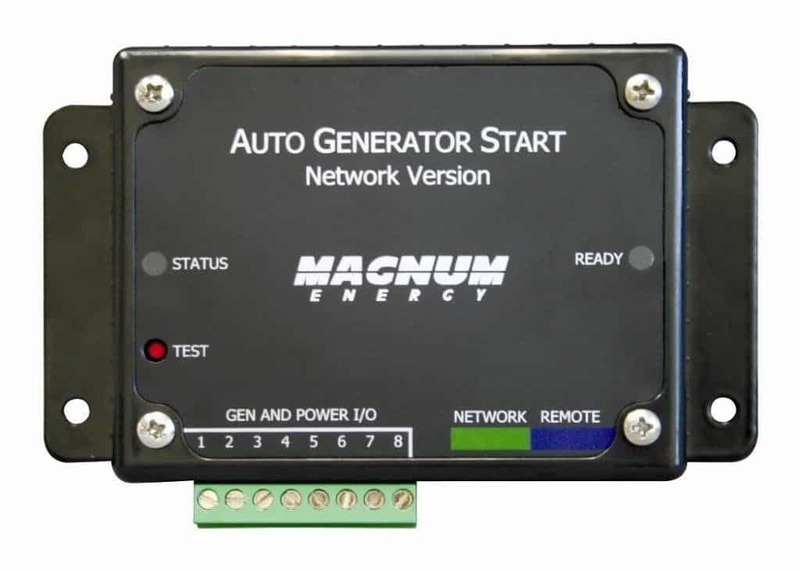 When used in conjunction with the ME-AGS automatic generator start controller, the ME-RC remote has the option of controlling a back-up generator. The remote's seamless integration allows users to configure AGS settings like voltage, temperature, quiet time, clock and status information. Monitoring your battery bank is one of the most critical aspects of maintaining healthy batteries. 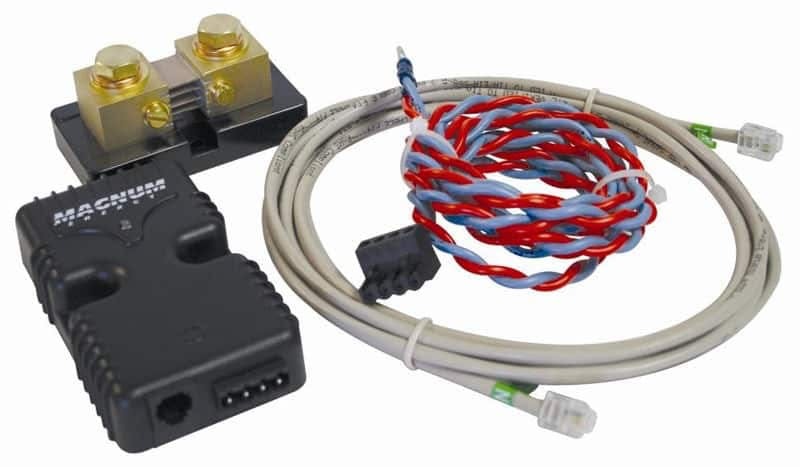 The ME-RC remote also offers seamless operation with Magnum Energy's ME-BMK battery monitoring kit. This advanced monitor reports the percentage state of charge, real time amps, voltage, amp-hours in/out, and the minimum/ maximum DC volts.